Phase 2 of the Marvel Cinematic Universe closed its doors with Avengers: Age of Ultron and Ant-Man last year, but Phase 3 is here and there is a whole lot to look forward to. Though Ant-Man wasn't technically a part of Phase 3, it was very telling about the plans the studio has for their upcoming slate of films in that we are going to be getting a whole lot of new characters, some of which we have already seen and will be seeing a whole lot more of in the next few years. Captain America: Civil War officially kicked off Phase 3 of the MCU with a bang and though it was a Captain America movie at its heart, there was still time to introduce a few new characters, most notably Spider-Man. Yes, nerd dreams dating back to the earliest days of Marvel Studios have finally been realized and the studio was able to work out a deal with Sony to have your friendly neighborhood Spider-Man be part of the MCU. Those who have seen Civil War, which at this point seems to be just about everyone, know that the new version of Spidey is absolutely on point and has been incredibly well received. 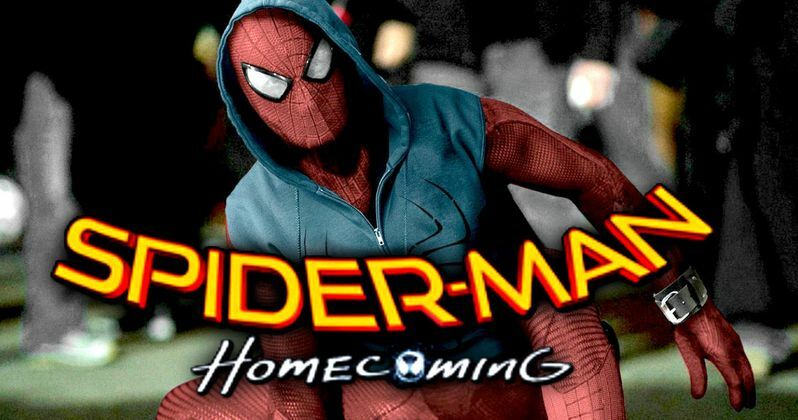 The journey to get Peter Parker into the the hands of Marvel Studios was a long one and a complicated one, but when The Amazing Spider-Man 2 failed to really generate the buzz Sony was hoping it would in order for the studio to be able to launch an entire cinematic universe centered around the wall crawler, the door of opportunity was open and Kevin Feige pounced. Well, we're in luck because in 2017, Tom Holland is coming back as Peter Parker for his first solo film, which will also be a part of the MCU. Since Captain America: Civil War is out of the way and production has wrapped and anticipation is building for Doctor Strange, details are starting to surface for Spider-Man: Homecoming, and we know a lot more than you might think. Here is everything we know so far about Spider-Man's first solo adventure in the Marvel Cinematic Universe. It kind of goes without saying since his name is the main part of the title of the movie, but this is going to be a Spider-Man movie all the way. The only reason that is maybe worth mentioning is because as great as something like Captain America: Civil War was and as much as it was a Captain America story, it was really Avengers 2.5. Make no mistake though, this first Tom Holland outing is going to be his show and Spidey is going to be front and center. If there were any doubts about that prior to now, after Civil War, those doubts have been all squashed. Holland absolutely crushed it in his first appearance in the MCU, brief as it may have been, the insanely positive response has surely given the top brass at Marvel all of the confidence in the world to put this movie on the shoulders of Spidey entirely. We know that Parker will already have been Spidey for a little while as well. This will absolutely not be an origin story. As referenced in Civil War, during that movie he had his powers for about six months, so depending on how much later after those events that Homecoming takes place, he'll still be learning, but comfortable enough to be fun. We also know that this is going to be a high school aged Peter Parker and a Spider-Man who isn't shy about making jokes. Andrew Garfield and Tobey Maguire had their moments for a quip or two, but Spidey's limited screen time so far has shown us this will be a much more vocal and true to form representation. Even though we are five films and three reboots deep with the character, Marvel is definitely going to do something different with the character on this go around. With the help of Tony Stark, Parker is going to have a technologically advanced suit and some other tech. Though this is likely going to be the version of Spider-Man a lot of us have been waiting to see for a very long time, it very likely won't be treading too much of the same water that has come before it. It isn't like Marvel has had a hard time attracting talent to their movies, but getting Oscar nominee Michael Keaton at this exact point in his career to play the main villain in Spider-Man: Homecoming is a pretty fantastic get. Though an official statement hasn't been made by the studio about the casting yet, it is by all accounts a done deal. The film's director sent out a tweet that essentially confirmed the long standing rumors circulating the Birdman actor's involvement in the project. As for who Keaton will be playing? That is less certain, but all signs are pointing to Adrian Toomes, aka The Vulture. For months the odds have been in favor of Vulture being the main bad guy in Homecoming and it is far from likely that Keaton would be taking on a small, ancillary role in the film. Plus, with Keaton's history as Batman and what he did with Birdman, it is actually a really fun bit of casting beyond the fact that he is a terrific actor and fits the role like a glove. Vulture was one of the very first villains Spider-Man ever faced in the comics and has remained a primary enemy of his ever since. The character of Toomes is a former electronics engineer who builds himself a flying suit that also gives him superhuman abilities. Vulture, though not a young nemesis, is ruthless and incredibly smart, so though he may seem a little but uninteresting to those without a deep history of comic book knowledge, this should make for a very great showdown.